You can afford to sleep in a little longer since the Country Inn & Suites provides a complimentary, hot breakfast each morning. 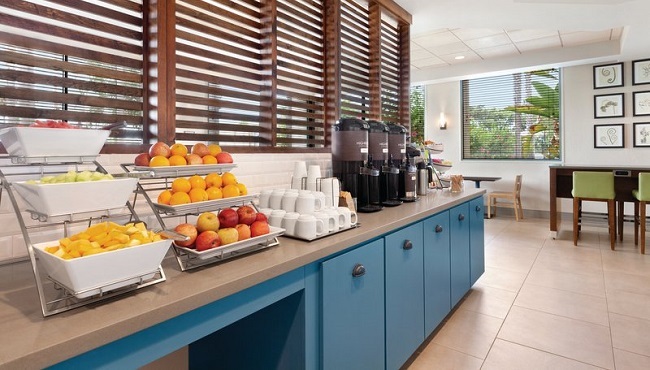 Indulge in favorites like waffles, eggs, bacon, muffins, fresh fruit and coffee to fuel up before exploring Sorrento Valley attractions. Later, return for dinner and drinks at our on-site restaurant, Fireside Lounge, which serves a menu of mouthwatering selections. When you feel like venturing out, you can visit one of the nearby restaurants such as Iris Food & Spirits, which serves delicious seafood and features a serene location overlooking the lagoon. 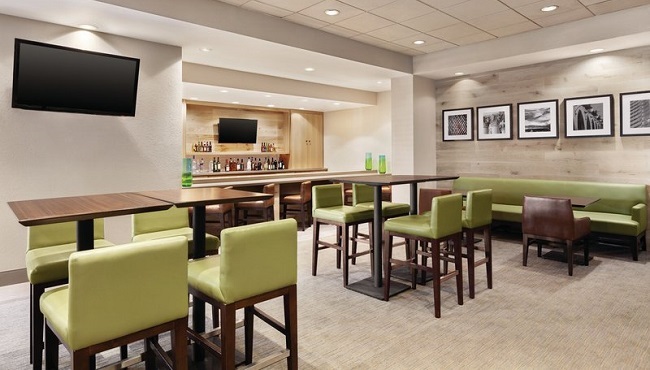 At the Country Inn & Suites, a delicious meal doesn’t require additional travel, thanks to our on-site restaurant and bar, Fireside Lounge. Our skilled chefs use the freshest ingredients to prepare selections ranging from savory appetizers and entrees to delightfully sweet desserts. 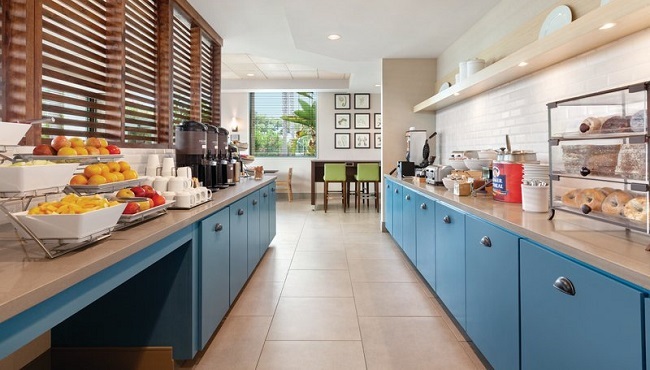 Fireside Grab & Go is available if you prefer to dine in your hotel room or suite. Mon-Fri, 5:00 p.m. - 10:00 p.m.